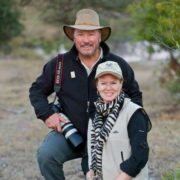 The idea of going on an Africa safari started about two years ago when I suggested to my wife that we consider expanding our summer trips from Western Europe to other parts of the globe. Each time I suggested it she would veto the idea because of the “risks” and her general comfort level and love for France and Italy. Two things happened to get her to change her mind. First, some unsettling events in Western Europe made it clear that no place is completely safe and second, I pointed out that our son William would be leaving for college in a few years and this is the time we would be able to travel as a family. It helped that William was becoming a young man and was interested in new and bigger adventures. Last summer we visited Machu Picchu (my wife, Rocio, was born in Peru), and later in the summer visited Iceland. Prior to our recent trip to Africa, our most audacious journey was to Japan for the kid’s Spring Break this past March. When I pointed out that we traditionally ski during this trip, William did some research and soon had arranged for us to spend a few of our days in Niseko for some incredible powder skiing. 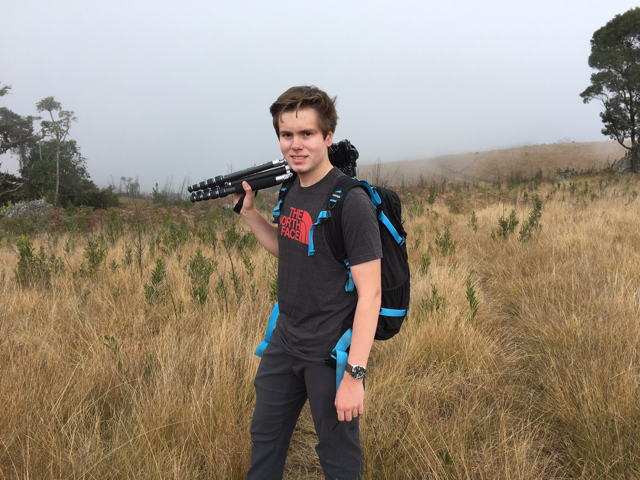 Starting about one and a half years ago, William became interested in photography especially videotaping with his drone. He started filming our trips and then editing them to music. 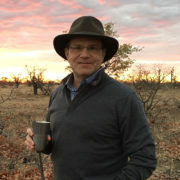 Including his Africa video he has completed eight videos, each one better than the last. His Africa one is my favorite so far. It is wonderful to have our family trips memorialized in these videos and immediately available on his YouTube channel. Obviously, these are memories that my wife and I will always cherish. The idea of planning a trip to Africa was intimidating so we decided to use Backroads, an American travel company that specializes in active travel vacations. It was an easy decision to use them as this was our eighth trip with them and they have always done a great job. Our adventure started on July 19, flying from Ft Lauderdale, FL to Dubai. We spent a few forgettable days in Dubai before flying to Cape Town, South Africa. 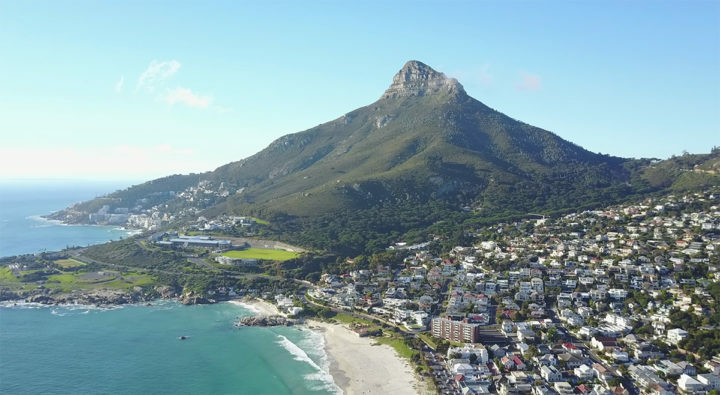 In Cape Town, we spent several days exploring the city and surrounding areas. A highlight was a family hike on Lion’s Head that had spectacular views of Table Mountain and the bay surrounding Cape Town. We met our group on July 25 in Cape Town and began the organized portion of the tour. There were 19 people which included four families and two guides. The families were all from the United States and Canada. The kids ranged from 9-16 yrs old. The oldest adult was an 82-year-old grandmother whose energy, mental sharpness and intellectual curiosity were the envy of the other adults. From our meeting point, we headed to Table Mountain and hiked through the adjacent forest. Our first two nights were spent at The Cellars-Hohenort just outside of Cape Town. The second day we headed to Cape Point and hiked to the Cape of Good Hope. William filmed some spectacular shots with his drone. We then biked and drove through the incredible Chapman’s Peak. A view of Lion’s Head and Camps Bay in Cape Town. Hiking this mountain was one of the highlights of our trip due to its spectacular views of Table Mountain and the surrounding city. On our third, day we left the Cape Town area and drove to Bushman’s Kloof Wilderness retreat where we saw incredible wildlife and rock art. We biked, hiked, and traveled on Landcruisers to see the wildlife. At the camp, we saw the incredible Cape weavers making these unusual egg-shaped nests. One could watch their construction for hours. 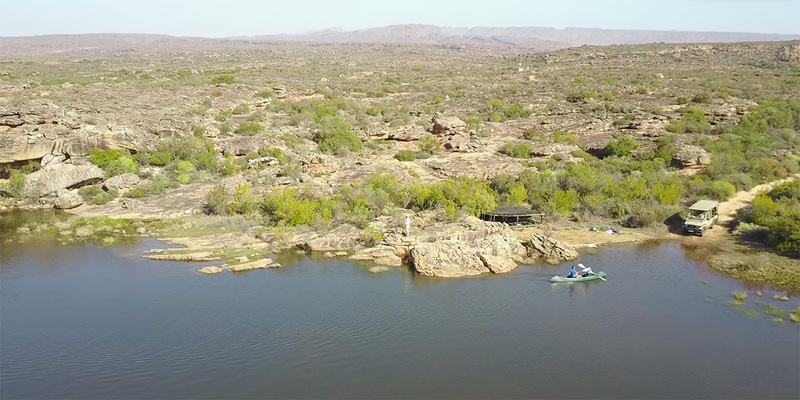 Some of the stunning vistas and adventures one can see at Bushman’s Kloof. 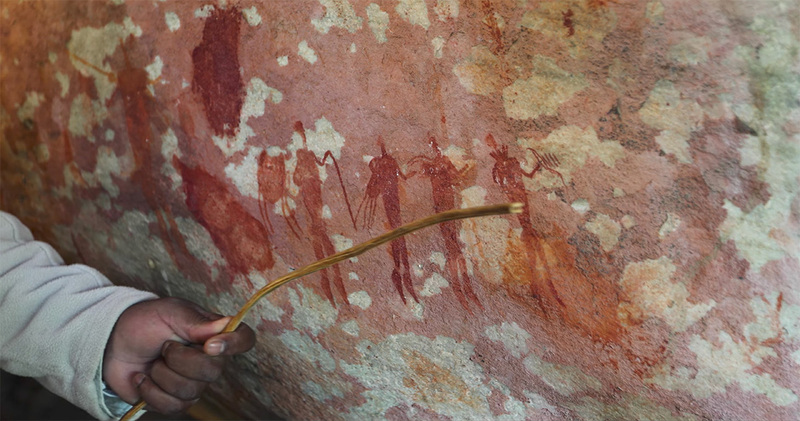 The rock art we were lucky enough to see at Bushman’s Kloof. Bushmans Kloof is the custodian of over 130 unique rock art sites, some as old as 10,000 years. On our fifth day, we flew to the Mashatu Game reserve in Botswana where for several days we had an exceptional ranger and tracker take us in a Landrover to see the animals. We were surprised to see how the animals basically ignore the vehicles as part of their natural environment. The viewing was incredible and like nothing we had ever seen. One of the highlights was the biking safari, though it was a bit sobering to see the lead guide with a high-powered rifle on his back. 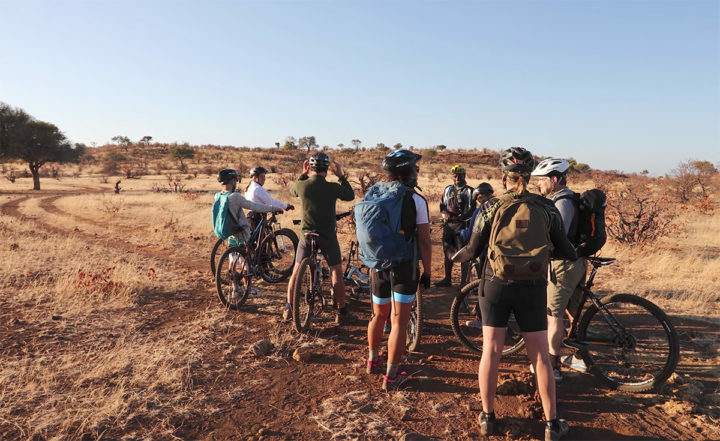 Our group stopping for a break from our cycle at Mashatu Game Reserve. Despite the animals showing no interest in the vehicles, we felt a little more vulnerable on bikes. On day seven we flew to Mpumalanga, SA and stayed at Summerfield’s Rose Retreat and Spa and spent two days in the fanciest private tent I have ever seen. We visited an elephant sanctuary on one day and the next went to Graskop (“grassy hill”), a vibrant arts community. Our hike there took us to the edge of the Escarpment which was completely fogged over. 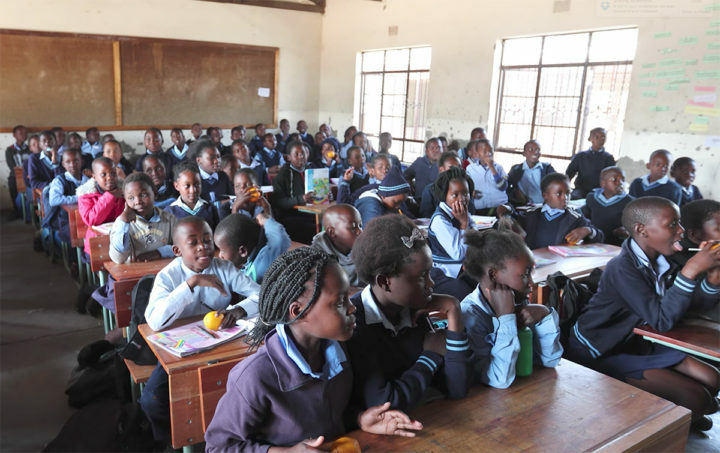 On our way to Londolozi on day nine, we stopped in the town of Lillydale B, at a school named Vuyelani and met some of the teachers and students. It was not too many years ago that the students were being taught under a tree. Now they have classrooms. The funds for this came from a number of sources including the Africa Foundation that works with the private game reserves to benefit the communities around the lodges. 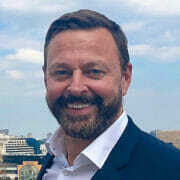 Companies such as Backroads and guests have also contributed. Some of the children at Vuyelani primary school. It was a real highlight of our trip. The reception that we got was so warm and welcoming and we’re really impressed with the work being done to support the education of these children. Just a few years ago these children were studying under trees but thanks to donations, the children now have classrooms to study in. The welcome we received from the children was really overwhelming. We were treated like rock stars. 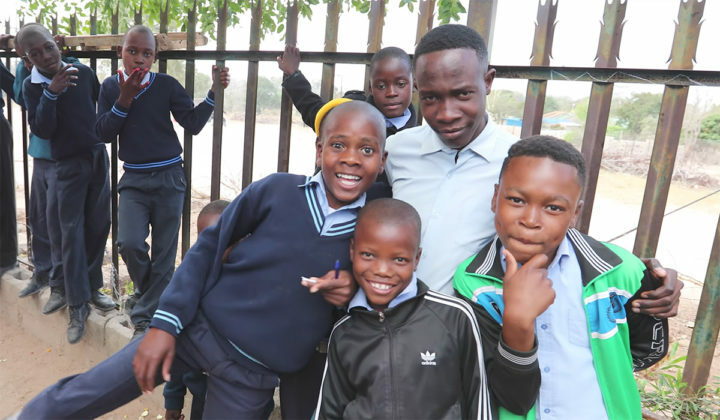 William is working with the Africa Foundation to raise funds earmarked for a new classroom at the school we visited (information on donating under YouTube description). Imagine how it would feel to know you helped with the education of these children. William with some of the children at the school. One of my dreams is to return some day and see my son’s name on a plaque of a classroom he helped sponsor. From the school, we drove to Londolozi which was really an amazing way to spend our last two days of the trip. It is a special place that naturally seduces you with the unity of the land, animals, and community. It might be the first time my soul felt so at peace. We have so many wonderful memories that we will cherish, many included in my son’s video. 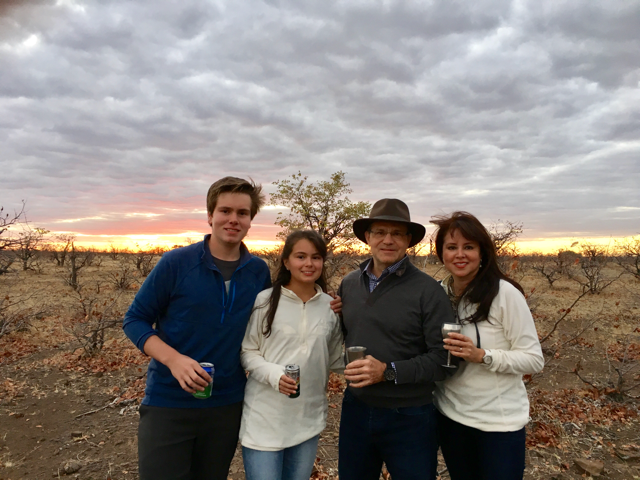 William 16, Michelle 12, Bill and Rocio enjoying an evening sundowner whilst out on safari. 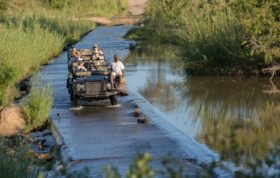 Some of the highlights of Londolozi were the way the lodge and people were able to mingle with the animals, the beautiful leopards, the wonderful food, including the safari coffee breaks and evening sundowners. Meals in the boma were quite memorable. Listening to Dave Varty, one of the Londolozi founders, talk about the history of Londolozi and his time spent with Nelson Mandela was incredible. Perhaps most touching was the tour of the village behind the lodge where the staff lived. I was impressed how Londolozi has been integrated into the community fabric and been able to help improve the lives of the local people. 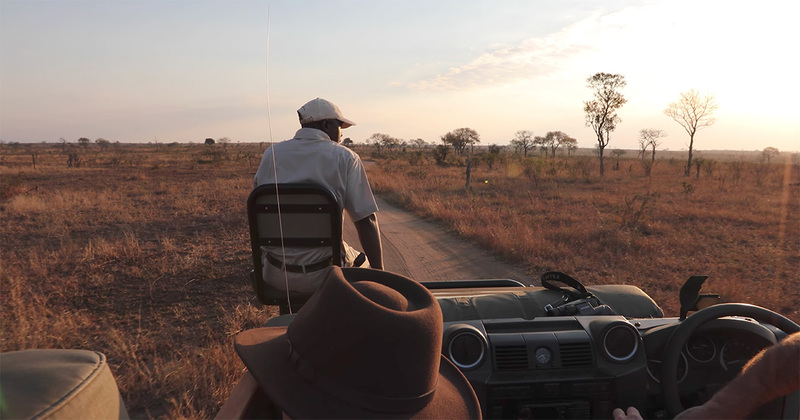 On Game Drive at Londolozi with Callum Gowar in the driver’s seat and Shadrack Mkhabela on the tracker’s seat. 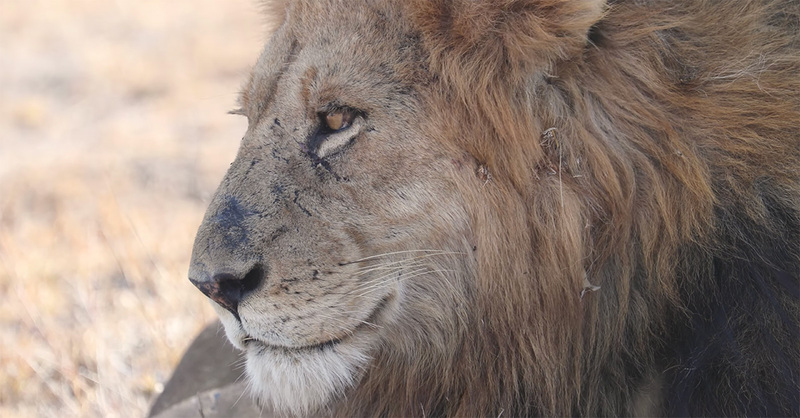 A Matshipiri male lion filmed whilst out on safari. The scars on his nose, show evidence of his involvement in a number of fights in the last few months. This was our best trip ever. 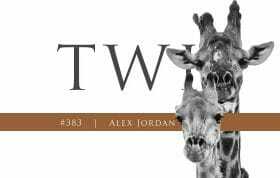 No sooner had we returned home, the discussion turned to the timing of our next Africa trip. 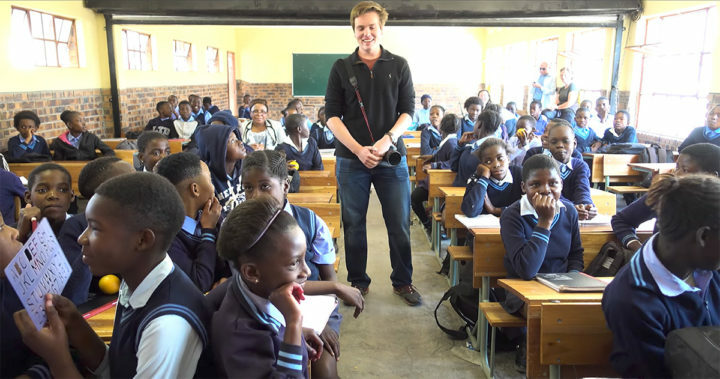 What warms my heart the most is the thought of returning to South Africa and on the way to Londolozi stopping to see my son’s name on a plaque of a classroom he helped sponsor. Stunning video. A wonderful African experience. Thank you Marinda. I will relay the compliment to my son. My role is cheerleader, Sherpa (carrying equipment), and funding. He chooses the scenes, shoots the videos with cameras and drones, chooses the music, edits the videos to fit the music, and other editing tasks I do not understand. I noticed you cannot view the video in high resolution by clicking on the link above (at least from my IPad). It was filmed entirely in 4K so for the full effect click on the link below which takes you directly to YouTube and allows you to maximizes resolution. It looks great on a large screen. My son says if you are on a desk top computer even the imbedded link above allows you to view in high res. Thanks for the link. He is a talented young man. Hope to see you back in Africa soon and looking forward to more videos of our lovely continent. Incredible and inspiring video! Congratulations William – thanks for sharing such a beautiful story! I was moved to tears by this video, thank you so much for sharing. Masterfully done! I would think William has a fantastic future in photography or anything else he chooses to go for. Thanks for sharing the wonderful video. Great article, Bill! You capture in words what William does in pictures and video. Thanks to you both. Thank you Sarah. And thank you for the generous donation! 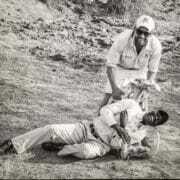 That is a great blog and video of your wonderful African experience. Thank you all for sharing your memories with us all. I do hope that you will indeed return to Africa and visit the school again. 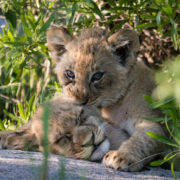 Londolozi is a great caring place, and, although I have never been there, I am so glad that you all had that opportunity. What a lovely video. Thanks for sharing your experience. 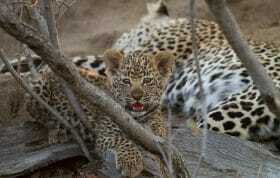 Londolozi is indeed sacred ground, soften’s my soul and reflects what unity can be. Awesome video!! it shows a great diversity of why Africa is so amazing. Once you have been there, you just want to keep returning! Do you think your son would mind if I shared his video? Thank you for the compliment. Please feel free to share the video. Wow, young William has a bright future ahead of him as a filmmaker! Very impressive video! Africa gets into your blood! We love it there. 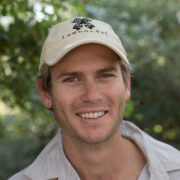 Great blog and video – I definitely think that William has a great future as a film maker – perhaps wildlife……… at Londolozi! Thank you for the kind words Gillian! William’s videos keep getting better. He says he wants to be a physician but we encourage him to learn as much as he can about many different areas and develop a wide variety of skills. I think he will be great at whatever he pursues. 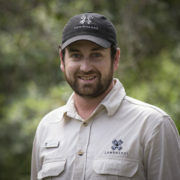 Whether as a film maker or simply vacationing we will definitely return to Africa and Londolozi.